what you are feeding your friends? 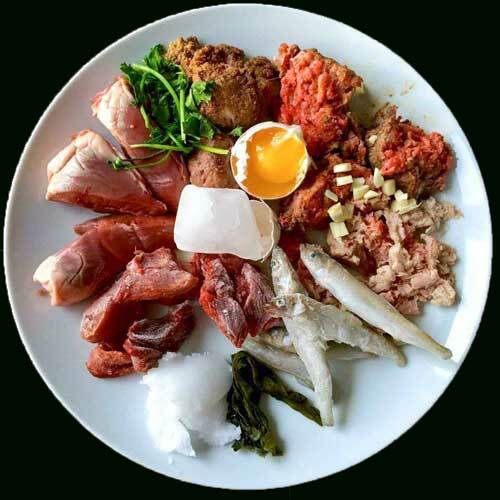 Cape Cod Canine offers a nutritious food line provided by Oma’s Pride, that uses USDA inspected meats and vegetables that have NO additives and NO preservatives, just as nature intended. In the days now of our own personal fitness and good health and many nutritional sources available, have you considered what you are feeding your friends? With growing concerns of “what’s in dog food” these days, feeding a Natural Raw diet gives you the “do it yourself” option of knowing EXACTLY what you are giving your furry friends, relieving the worries of constant recalls of even "top quality" commercial dog foods or the allergies of your sensitive companion. We provide pre-packaged or homemade fresh fruits, vegetables, meat and fish and the best quality ingredients for your pets. Ask us about fresh feeding. Our own dogs are seven generations and 18 years of “raw fed” from weaning to old age! We have a fabulous variety of meals, treats, and supplements for your pet and you can get them all here!  We at Cape Cod Canine take animal nutrition, daily diet and overall pet care very seriously. Our Canine Companions have become loved ones, sometimes more important than anyone else in our lives, and we wish to feed them as such. Only the Best for our Best Friends!! We have over 20 years dedicated to our Breed Specific Rescue Organization. We are long time members of the American Bullmastiff Association as well as The American Kennel Club. We have nearly three decades of breeding, rearing and showing Nationally Ranked dogs and World Champions as well as personal foster care and placement of 100's of rescue dogs. Since 1995, all of our dogs, whether born and raised here or fostered and adopted into loving families are exclusively fed the Raw Diet. We have extensive experience feeding large breed dogs and animals of any size or health concern. Patience is a high priority when working our day to day routine. Smiles and laughter generated by what the animals return is our reward. I am currently owned by the beautiful English Breed known as The Bullmastiff. These large dogs fill my heart and home with love and passion. I feed my personal dogs a Raw Natural Diet and I believe in a natural approach to handling our canine friends. After all, they are our BEST FRIENDS!! I share my life with animals and wouldn't have it any other way. Anything you need for your pet, from nutrition to night time stories, I can provide with my years of experience with animals. My real life is right there with your pets! You can follow Cape Cod Canine on Facebook and read reviews on Yelp. News, feeding tips and pictures are shared on Facebook.